Seem far-fetched? It’s really not. In fact, cryolipolysis is no longer the stuff of space-age fantasy. The first human study showing the effect of cryolipolysis on human fat cells appeared in 2009. Coleman et al. reported their findings after applying cryolipolysis to the love handles of 10 patients, with each subject receiving a single treatment in a session lasting about one hour. The report found that after two months subjects showed a 20% reduction of fat in the love handle area. By six months that reduction was up to 25%. The Food and Drug Administration (FDA) approved the procedure in September 2010. FDA approval was not especially surprising, given the efficacy of cryolipolysis and the minimal side effects of the procedure. Other than transient local redness, a little bruising and occasional numbness of the treated area, patients report few problems following cryolipolysis. Most were surprised to see their areas of fat slowly melt away. Perhaps because cryolipolysis is such a challenging word to say, the practice of freezing fat cells to the point of killing them is now referred to as CoolSculpting. It may not sound quite so much like science fiction, but is nonetheless a cool name for a very cool process. More important than the name it is known by is the way CoolSculpting is able to help men and women achieve the body they want, a body they can feel good in and be proud of. When we were kids we were open to scientific advances that seemed impossible. In fact, we were entertained by them through books, movies, and even Saturday morning cartoons. Why not open ourselves up to those possibilities again? Why not revel in the fact that science has managed to come up with a fat-busting method that is not only safe, but also effective? Let’s take a closer look at the CoolSculpting. Scientists at the Wellman Center for Photmedicine at Massachusetts General Hospital in Boston wondered if it was possible for cold to selectively affect fat. In other words, could areas of fat be “frozen away” without damage to surrounding tissue and nerves? To understand what may have led doctors to this question we need to back up to somewhere around 1970 when Dr. E. H. Epstein Jr. wrote of a phenomena called “Cold Panniculitis” (or “Popsicle Panniculitis”) in the New England Journal of Medicine. What Dr. Epstein discovered was that children who ate a lot of Popsicles often developed dimples. Research convinced Epstein that while some children are born with dimples, others develop them over time. The mechanism works like this: a kid eats Popsicles and the cold temperature of those frozen delights works to effectively freeze the fat in the child’s cheeks. Once frozen, the fat cells are broken down by the body, leaving dimples where fat pockets once were. With Epstein’s findings in their back pockets, those doctors at Massachusetts General Hospital wanted to learn if precisely controlled cooling could be used to destroy fat on other targeted areas of the body. What they found blew them away. CoolSculpting works much like those Popsicles worked to permanently destroy fall cells. The CoolSculpting machine pulls stubborn fat bulges into a device and settles it between two cooling plates. A strong vacuum assures that everything will be held into place until the procedure is over. The cooling plates are set to a specific temperature, low enough kill fat cells. While those fat cells are vulnerable to this specifically-set temperature, skin, nerves, and blood vessels are not. Fat dies while the rest of your body continues to thrive. Just as those children in Dr. Epstein’s early study metabolized frozen fat cells, so do CoolSculpting patients. It is really that simple. During the procedure about 20% of the fat cells in a treated area are killed. It takes a bit of time, but those cells are slowly absorbed into the body. Your body treats those fat cells just as it would treat any fat you consume, storing what it needs in order for bodily functions to continue, and burning fat as needed for energy. In short, the body finds the most efficient way to metabolize those unneeded fat cells and get rid of them. How great would it be if weight loss and fat reduction were the same thing? Unfortunately, they are not. When you lose weight your fat cells shrink, but the number of cells remains the same. In other words, your body does not actually rid itself of fat cells as you lose weight. They just get smaller. And here’s the snag: if you begin to regain that weight those fat cells plump right back up. CoolSculpting actually reduces the number of fat cells in a treated area, and they are gone for good. Fat cells that no longer exist in an area can never plump back up. CoolSculpting patients may not weigh less after their procedure, but they will be smaller due to having fewer fat cells in treated areas. Unlike other, older procedures, patients do not have to worry about a change in fat cell distribution in untreated areas. Fat that is metabolized is simply gone. You are the ideal candidate for CoolSculpting if you are within 20-30 pounds of your ideal body weight. You may either be in the process of losing more or maintaining your current weight. Most CoolSculpting patients have noticeable bulges on their bodies that are resistant to diet and exercise. The area that you would like to have treated should be significant enough to grasp and squeeze, but not so large that it cannot be pulled into and held between two cooling plates. Your medical provider can easily assess how well CoolSculpting is likely to work for you. What will happen to my body following the procedure? Immediately following the procedure you may feel a bit swollen. That is a natural reaction and one that is sure to pass. To get a better picture of how CoolSculpting will work for you, it helps to remember that fat cells have actually been killed and are simply in the process of being used up (metabolized) by the body. Each day following your procedure will be like a gift. As the fat cells are metabolized your body will begin to shrink. Patients generally report seeing optimum results four months after receiving their CoolSculpting treatment, although it does not end there. The body continues to rid itself of dead fat cells for at least two more months. Will people know that I have undergone treatment? Only if you want them to. If you happen to bruise, you can cover those bruises with clothing. There is never any reason for friends and family to know that you have undergone CoolSculpting. In fact, because your body will slowly rid itself of destroyed fat cells – gradually revealing your new, leaner shape — people will naturally assume that you have lost weight or are working out more. It is your secret to share only if you want to. We recognize that this is a frustrating answer, but it truly does depend. It depends how many areas you would like to have treated as well as the number of sessions you need in order to achieve the goals you set for yourself. While one patient is perfectly happy with a 20-25% reduction in a trouble area, another wants a full 50%. The nice thing about coming in for a consultation is that you can work together with your medical practitioner to come up with a plan that meets both your goals and your budget. Early researchers into CoolSculpting were right when they reported that a single treatment can be accomplished in less than one hour. How long your treatment will take depends upon how many areas you would like to have treated on the same day. Some people choose to have just one, while others want several areas taken care of at once. This decision will ultimately be yours to make. Let’s say that you decide to have your lower abdomen and arms done. If you are looking for a 50% reduction in fat cells on your abdomen you will likely have to undergo two treatments. If your arms look great with a 20-25% reduction, one treatment will do the trick. Within a few minutes you will begin to feel intense cold and pressure. This soon dissipates as your body adjusts to the treatment. Many of our patients can read, work on their laptop, watch a video, listen to music, or even nap during treatment. CoolSculpting is FDA approved for several areas of the body, including the flank (love handles), thighs and abdomen. Over 1.5 million treatments have already been performed worldwide, making it one of the safest and most effective treatments available for non-invasive, non-surgical fat reduction. Can anyone undergo CoolSculpting treatment? If you suffer from cryoglobulinemia or paroxysmal cold hemoglobinuria you should not have the CoolSculpting procedure. In fact, talk to your medical provider about any healthy issues you have. What you will learn is that CoolSculpting is a remarkably safe procedure for nearly everyone. Because the CoolSculpting procedure is non-surgical, most patients are able to return to everyday activities right away. Some patients do experience minor bruising in the treated area, numbness, discomfort and redness, but these are temporary. The vast majority of people experience no downtime. In what may be the most awesome part of CoolSculpting, it is possible to begin to see changes within three weeks of treatment. However, you will experience the most dramatic results after two months. Better yet, your body will continue to flush out fat cells for four to six months after your procedure. Why choose CoolSculpting over lasers and other devices? While other treatments have become quite popular, they each have their own drawbacks. Laser and radiofrequency treatments can cause fat cells to become leaky and sometimes tighten the connective tissue that holds the fat cells in place. Neither provides a permanent reduction of fat cells. Mesotherapy and Lipodissolve — injectable medicines designed to destroy fat cells, do work, but less effectively than a single CoolSculpt treatment. Why choose CoolSculpting over liposuction? Liposuction and CoolSculpting have the same goal, but go about it in different ways. As far as liposuction is concerned, you need to commit yourself to a recovery period. Downtime, compression garments, potential time off of work and temporary disfigurement must all be factored in. Let’s talk small print. Are there any rare side-effects associated with CoolSculpting? Yes. On occasion (about 1% of the time), a patient complains of pain intense enough to necessitate pain pills. Numbness to the treated area can last more than a week in some patients and the suction of the vacuum holding the treated area in place can leave a mark that looks a lot like a hicky. While these are not common experiences, they are warning that can be found in the fine print. How will this impact my skin? Because skin and connective tissue is able to maintain a remarkable measure of elasticity, mild skin laxity caused by previous weight issues or pregnancy will typically contract just fine. There are limits, though. Skin with severe laxity issues — like deep stretch marks, extremely thin skin, and deflated skin that hangs like an apron – may not contract much at all. This is another situation in which your medical practitioner can provide you with the most comprehensive answer. He is accustomed to seeing all skin types and knows which are most likely to respond positively to treatment. My local spa offers CoolSculpting. Any reason I should not schedule it to coincide with my next facial or massage? The CoolScuplting equipment is a medical device. As such, it should only be operated by trained medical personnel. You owe it to yourself to make sure that anyone operating the equipment is legally allowed to do so. Does the procedure really produce permanent results? CoolSculpting works by freezing (crystalizing) fat cells. Once those cells are frozen, they die and are eliminated from the body. When those fat cells are gone, they are gone for good. CoolSculpting is not a miracle cure that will make you naturally thin, but it will help you shed unwanted fat. 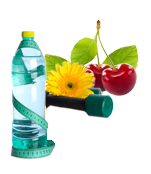 What we have found is that our patients become very motivated to maintain that new, leaner body. What happens to my body if I gain weight? As mentioned, our patients tend to be motivated by their leaner bodies to introduce better dietary and exercise habits. If something goes wrong though and you do gain weight, you will likely gain it all over your body and not just in the areas that were treated (as is the case with other treatment options). If you are unhappy with your body you are not alone. According to the Centers for Disease Control (CDC), 69% of adults over the age of 20 are overweight, and a recent Gallup Poll shows that nearly half of all Americans are concerned about their current weight. We are a country of people wishing for something to happen, but feeling paralyzed to make it happen. Now is the time. If you need to lose a few (or many) pounds, talk to a doctor and get started on a healthy eating and diet regimen. If you are close to your mark and simply need help ridding your body of extra pockets of fat, consider the benefits of CoolSculpting. You have one life to live. Do what you can do to make it as healthy and happy as possible. Results are king in the weight loss world. The lengths people are willing to go to achieve those results can be crazy—fad diets, absurdly intense workout routines, fasting while doing a headstand and whistling “Dixie.” You name it, someone has tried it. But if you’re like us, you’re not interested in dieting fads or trends that offer dubious benefits. We prefer to stick to the tried-and-true basics for healthy weight loss, while exploring new ways to give our post-workout bodies a boost. If this sounds like you, read on to learn why a healthy workout routine, combined with the fat loss removal system known as CoolSculpting, can be exactly what you need to achieve your best bod yet. Before we explain why CoolSculpting may be your one-way ticket to stellar results, let’s review the basics of normal weight loss and why you should care about them. According to the Mayo Clinic, our bodies must burn a specific number of calories each day to give us the energy we need. This is known as our metabolism. Each person’s caloric requirement (aka our basal metabolic rate) varies based on all sorts of things—age, height, body composition, etc. Eating fewer calories than your body burns make your system use up your fat (and muscle) stores as energy—hence, weight loss. Eating more than you burn causes weight gain. The bottom line is that weight loss is all about energy balance—you must use more energy during the day than you take in. To put it another way: eat less, move more. But our bodies aren’t perfect. Big surprise, right? As most of us have experienced, we never seem to lose fat exactly where we expect (or, rather, where we want to). Most of us have our own personal problem areas that tend to store (and never let go) of extra fatty tissue, even when a healthy weight is achieved. For us men, these areas are usually near our midsection—love handles, spare tires, and whatnot. While our abdomen can be a notoriously tricky area to slim down through natural methods, it’s the perfect target for a revolutionary new fat loss treatment option—CoolSculpting. When diet and exercise fail to deliver the ultimate results you’re looking for, CoolSculpting may be the answer. CoolSculpting is a fat removal system that actually freezes away the stubborn fat cells in your body. Unlike traditional liposuction, CoolSculpting is relatively quick and painless. In fact, CoolSculpting is the only FDA-approved, non-surgical fat loss treatment that uses controlled cooling to produce results. CoolSculpting works because our stored fat reacts differently to cold than does our other tissues. When fat gets too cold, it breaks down in a process known as “lipolysis.” In clinical studies on this type of procedure, according to June 26, 2014, article in the National Center for Biotechnology Information, improvements were seen in a staggering 86 percent of subjects, with a 73 percent patient satisfaction rate. Comfort: No incisions, no invasive tools, and no worrying required. CoolSculpting treatments are generally comfortable, with most patients only feeling a mild chill and pinching sensation during their procedure. The vast majority of patients get back to business on the same day. No Anesthesia: General anesthesia is relatively safe, says the Mayo Clinic. However, it can complicate things by giving your surgeon one more thing to think about. Plus, anesthesia significantly adds to the overall cost of any cosmetic procedure. This is not a consideration for CoolSculpting patients. No Scarring: Although traditional liposuction treatments do offer more extensive body contouring, there’s no getting around the ugly scars they can leave behind. This can be a deal-breaker for many of us; if our goal is to become more comfortable with our appearance, then any procedure that leaves us blemished is counterproductive. CoolSculpting leaves no scars or any indication that you’ve had a procedure. However, CoolSculpting does have a few things in common with other fat removal procedures. The best candidates for CoolSculpting will have reached a healthy body weight first. Think of CoolSculpting more as a complement to weight loss rather than a weight loss method. This is why we recommend that all patients considering CoolSculpting use our natural weight loss tips to first reach a healthy body mass index (commonly referred to as BMI). Once your body is primed through healthy weight loss strategies, you can use CoolSculpting to fine-tune your physique. The best way to meet your appearance goals is to combine traditional weight loss with CoolSculpting. Fortunately, these two strategies work well together. Fat loss treatments such as traditional liposuction are invasive—significant bruising and soreness are common near the treatment areas. It’s normal for patients to require weeks of bed rest and caution before they can resume their normal activities. This isn’t the case with fat-freezing treatments. The recovery process for CoolSculpting is very quick, with most patients returning to work the same day or within a few days. While you may want to skip the gym on your way home from the doctor’s office, most patients find that they can resume normal exercise routines within a week or so. And, in fact, exercise after CoolSculpting can even be easier than it was before. See, when we gain or lose fat, the number of fat cells in our body doesn’t actually increase or decrease. The fat cells only shrink or expand. This means that, through traditional exercise methods, the best you can hope for are fat cells that are tinier than the ones you had before. But the beauty of CoolSculpting is that it removes fat from the body; freezing doesn’t just shrink them, it eliminates them completely. CoolSculpting has been shown to reduce the number of fat cells in treated areas by 20 to 25 percent. Though CoolSculpting is about fine-tuning rather than dramatic changes, ditching the excess fat can definitely make your morning jog easier. Typical weight loss strategies for men often result in better health, but with stubborn abdominal fat intact. CoolSculpting is specifically designed to remove stubborn fat around your abdomen and midsection. We call this one a no-brainer. If you’re sick of trying to work off that spare tire through long hours in the gym, speak with your doctor to see if CoolSculpting can give you the edge you need.